Gossip Stone: How Effective are Zelda Symbols for Brand Recognition? The triforce is an incredibly simple icon, just three triangles; it can be scribbled anywhere and it isn’t really associated with anything but The Legend of Zelda. Despite the symbol’s ability to creep its way into an astonishing amount of media outlets, does it do a good job of inciting interest in the series? 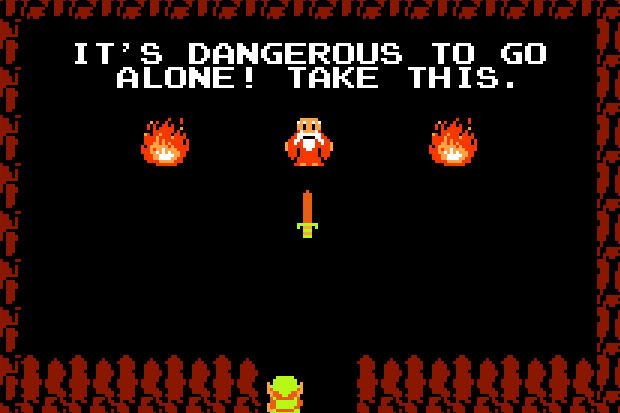 Even popular phrases like “I am Error” and “It’s Dangerous to Go Alone” are fairly popular, but are they effective as slogans? From a business standpoint, a logo and a catchphrase are important, but they aren’t a major focus for the Zelda franchise. Clearly the triforce is an easily recognizable image, but it’s unclear how many people would actually point to one and identify it as a ‘triforce’ if they weren’t a part of the gaming community. Certain people might remember it from childhood, but even then they’d probably just say “Oh, that’s the thing from Zelda, right?” A good logo is classified as a synthesizer of a brand which can be used for identification, differentiation, and positive associations. So although the triforce is popular, and gets hidden in movies like Scott Pilgrim vs. the World and Google logo art, it isn’t so much a marketing ploy as it is an easter egg for players. Those who do remember it though will probably have positive associations with it, mainly nostalgic, at least those could potentially draw them back to the series. The issue with the triforce as a logo is that it doesn’t expressly represent what The Legend of Zelda is and stands for. Again, it’s just three triangles to a person who has had no experience with the series. The one thing that it does have going for it is that it’s usually in gold coloring, which subconsciously gives it an impression of importance and divinity. 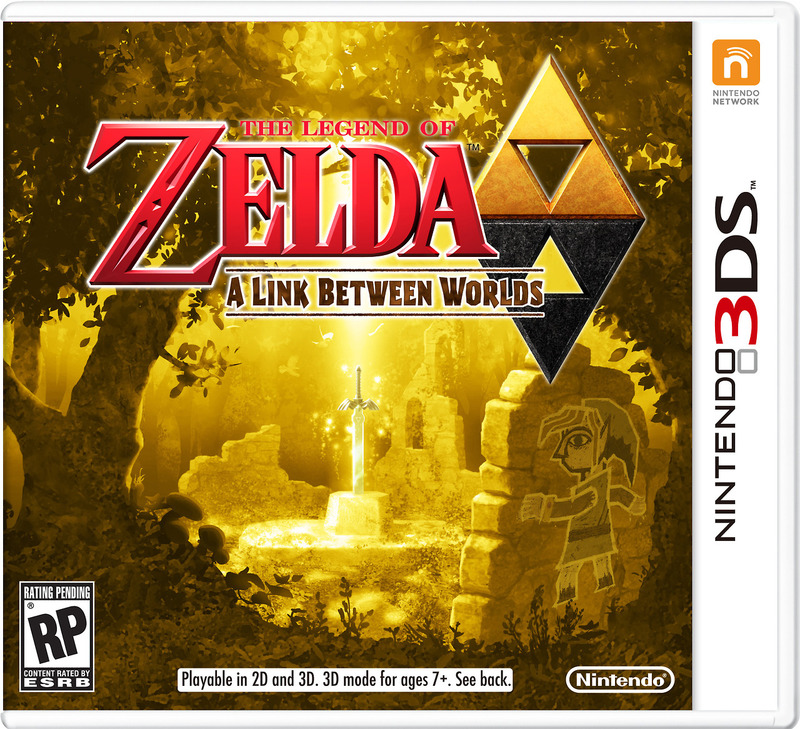 So a person walking into a GameStop and seeing it on a game’s box art might feel more compelled to buy that game; similarly, the golden cartridge was a big part of the original Legend of Zelda’s appeal. On the other hand, the triforce is a great representation of the main plot of the series if one knows what each piece of the triforce stands for. It represents power, wisdom, and courage. Or Din, Nayru, and Farore. Or Ganondorf, Zelda, and Link. 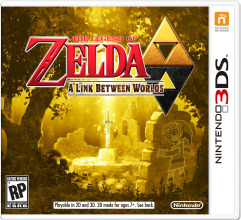 It is always at the center of the games and it connects the series titles. My point is, it means a lot to those who have played Zelda before and will resonate with old players enough to make them miss the games– but it’s not an effective logo for recruiting new players. 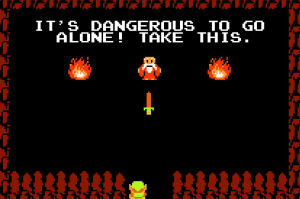 Let’s be real here, the Legend of Zelda doesn’t actually have a catch phrase or slogan. The NES had “Now You’re Playing with Power,” but as far as individual franchises go, there isn’t much in the slogan department. All the franchises have are memorable taglines or dialogue pieces. Mario has “It’s a-me, Mario!” and Sonic the Hedgehog has “You’re too slow!” which are both great for marketing; Mario’s literally has his name in it so the games are explicitly referenced, and Sonic’s expresses his speed which is his main characteristic. Unfortunately for The Legend of Zelda, we have no marketable phrases. Our popular phrases include “It’s Dangerous to Go Alone, Take This”, “I am Error”, “My Boy”, “Well Excuse Me, Princess”, “Hey! Listen!”, and “It’s a Secret to Everybody” which rings so true because none of these phrases reflect the games at all. Half of them are only popular because they’re annoying, “It’s Dangerous to Go Alone” is the only one that even slightly nods to what a player does in The Legend of Zelda games. Luckily, they do make the rounds in pop culture sectors and onto Hot Topic t-shirts which will spread brand recognition. So in the end, The Legend of Zelda’s logo and popular phrases don’t do much good on the marketing end of things. But hey, the series is doing really well without them. Shocking that quality of story and gameplay would matter more than little marketing tricks, isn’t it? The Legend of Zelda doesn’t need all of those bells and whistles, it gets by just as well on merit! But personally, I don’t think it would hurt to have a representative slogan; it’s likely too late to implement one now, but at least the individual games typically have slogans. If we were all marketing majors, we’d probably feel that The Legend of Zelda has a flawed business model. Simple things like logos and slogans that could introduce new players aren’t a focus; but as long as the games are quality, veteran players will keep coming back. How well do you think the triforce and popular Zelda catchphrases advertise the franchise? Do you think having a good logo matters? What are some possible slogans that the series could use? Express your thoughts in the comments!